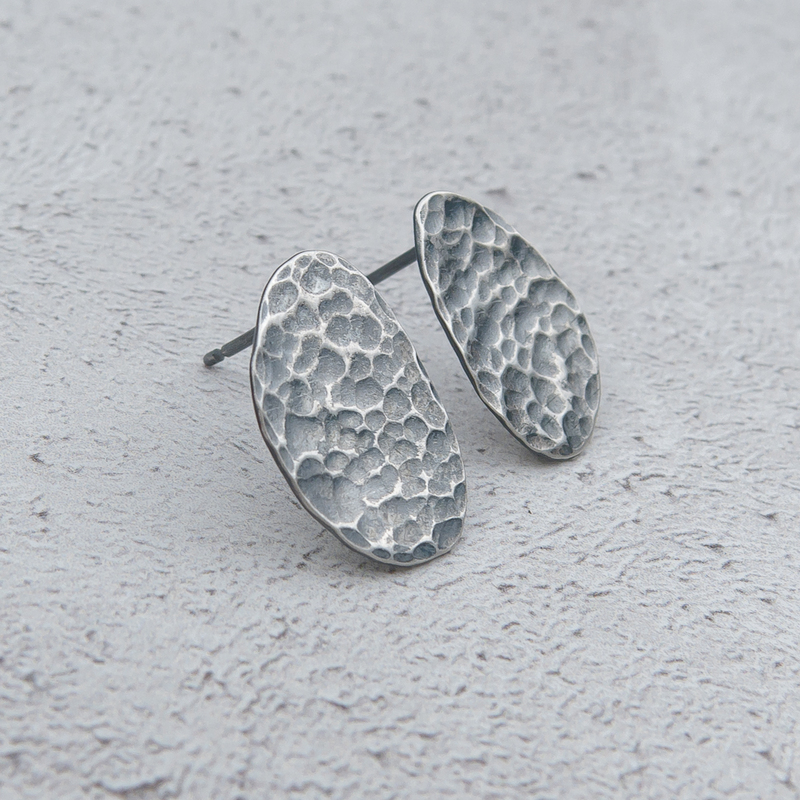 Ripple Texture Studs handcrafted with individuality and uniqueness in mind. Cut from flattened bowls of sterling silver teaspoons, these earrings have a beautiful intricate texture that mirrors the ripples in water and are formed through the repeated hamering of the surface of the silver. 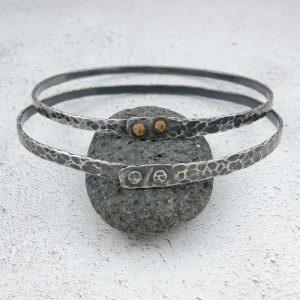 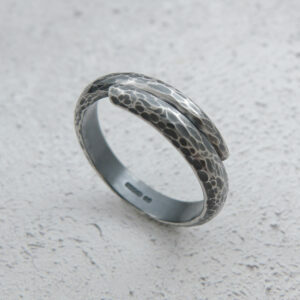 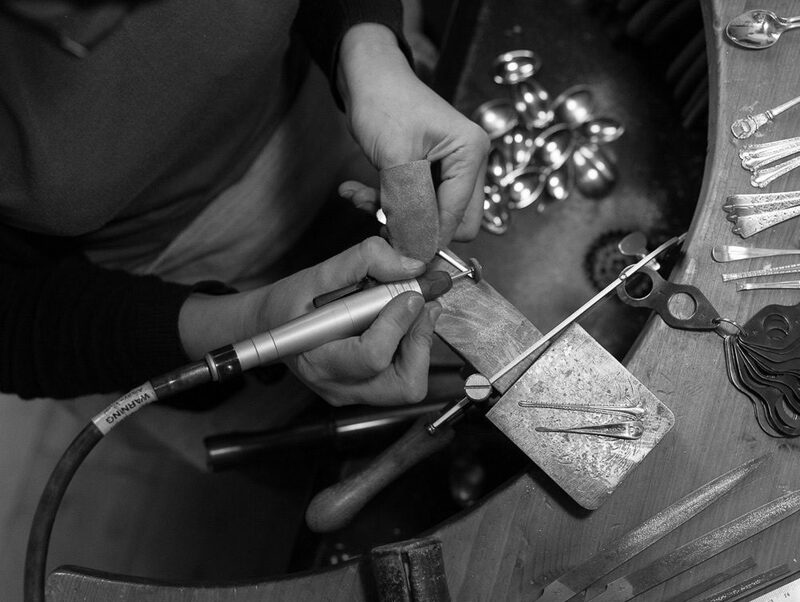 This process also domes the metal slightly creating a long oval concave form. 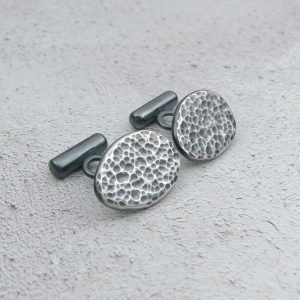 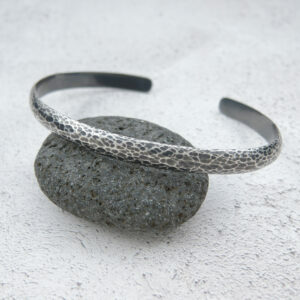 Perfect for everyday wear or special occassions if teamed with other pieces from the same collection – see related products below for some ideas.